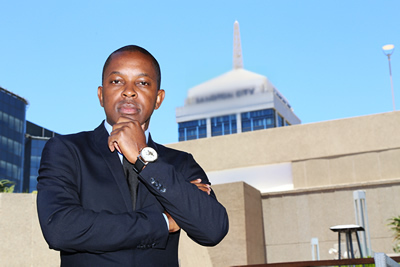 2015 was a disappointing year for Zimbabwe’s property industry, according to Morris Hove, CEO of Property 101. Zimbabwean real estate is set to see an influx of foreign buyers having taken up the US dollar and with the country making it easier for foreigners to buy property in the country but this will take a few years to materialize fully. Zimbabwe is very much a sleeping giant in terms of property development with an educated population of about 14-million people, but positives are on the way. This is according to Morris Hove, CEO of Property 101, which is based in Zimbabwe. He says 2015 was a disappointing year for Zimbabwe’s property industry. “The market performance was characterized by a high number of voids and defaults by tenants. The number of transactions through the deeds office went down compared with previous years. Another indication was the number of properties sold through the auction system which was down as a result of most people failing to service their mortgage obligations,” he said. He says 2016 should be better but not necessarily much better. He said these included interest in Zimbabwean real estate by foreign fund managers and investors and also government taking steps to improve housing delivery. Hove believes there will be low mortgage uptake from Zimbabweans themselves which is why the country must support foreign investment. “As long as mortgage rates remain on the high side the uptake will go down. The high interest rates coupled with unprecedented job losses have shrunk the pool clients that are eligible for mortgage financing. High unemployment and salary cuts will dampen the mortgage market even more,” he said. He also expects various real estate companies to close, because of a lack of deal flow. For all of its potential and natural resources, Zimbabwe is still a small country which needs to develop intra country business relationships. “The dwindling transactions in the real estate sector means the operators are fighting for an ever shrinking pie. The sector is therefore likely to witness closures or consolidation of realtors in the short to medium term. The cost of doing business for most realtors is not commensurate with the level of business being conducted. It is therefore logical that some structural adjustments will have to take place in anticipation of the economic turnaround,” said Hove. However, international players can be Zimbabwe’s guiding light. Many property investors from around the world are looking at Africa as an investment destination for the first time. Zimbabwe is not necessarily at the top of countries in the continent that these investors would consider to be their first choice destination but it still has notable natural resources such as platinum and there is demand for new offices and retail offerings in the country. “We are receiving interest from international players. Our property ownership laws are such that there is no distinction between a local and a foreigner in terms of property ownership. This could be of interest to foreign buyers. As long as we maintain the US dollar as our official currency among other currencies, the appetite to invest in Zimbabwe will remain relatively high. A review or pragmatic implementation of the Indigenous Programme has the potential to spur more interest from foreign investors,” Hove says. Foreigners can acquire Zimbabwean assets at lower costs of funding than South African ones. Also some Zimbabwean properties are far cheaper than European, Australian and American properties. Buying property costs are quite low at about 7% to Zimbabwe. The notary fees are around 4%, plus 15% Value Added Tax (VAT). Stamp duty is levied at progressive rates, from 1% to 4%, depending on the property value. There are concerns that President Robert Mugabe is often quick to raise taxes. South African companies have enjoyed success in Zimbabwe recently. These include the likes of renowned retailers such as Pick n Pay and Mr Price. Many Zimbabweans still travel to South Africa in order to get new brands and enjoy bigger offerings. In some ways, Zimbabwe is a retail starved country. A number of larger international brands like H and M and River Island have not yet opened in Zimbabwe. If Zimbabwe can demonstrate demand for international retail, many brands may take up space. This will always create opportunities for industrial property in the country. Zimbabwe is in dire need of an integrated industrial warehousing solution. Storage property companies could also serve middle class people looking for warehousing storage options. For now, housing developments are run by many smaller companies with state support. But Zimbabwe’s office take-up is still somewhat depressed. Clearly, there are opportunities in Zimbabwe for companies in general and these include real estate companies. A vote of confidence is when Dangote, the Nigerian group recent announcement that it would be building a cement plant in the country worth $400m. Dangote is led by Africa’s richest man, Aliko Dangote. Surely, other investors should grant Zimbabwe some attention.